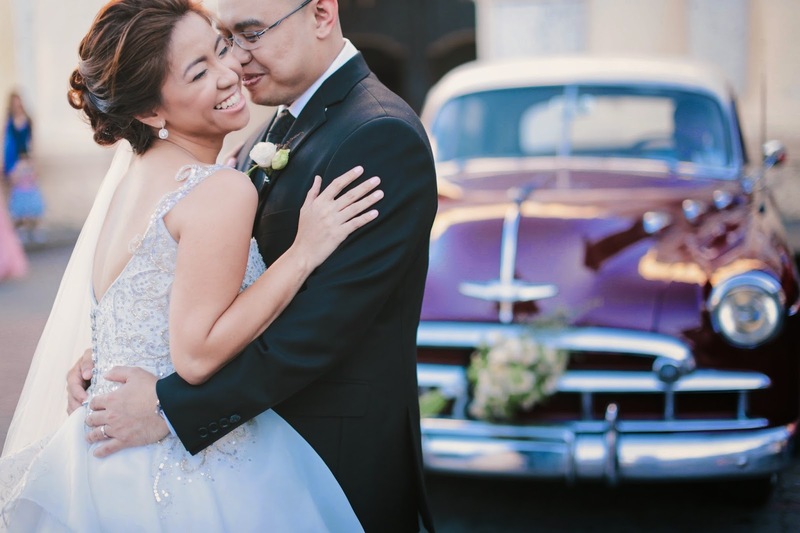 Being a Filipino-Chinese, April & JC's family were surprised by the couple's decision to get married on the 13th. But with "12-13-14" being the last consecutive date in this lifetime, they wanted to celebrate that with a bang. 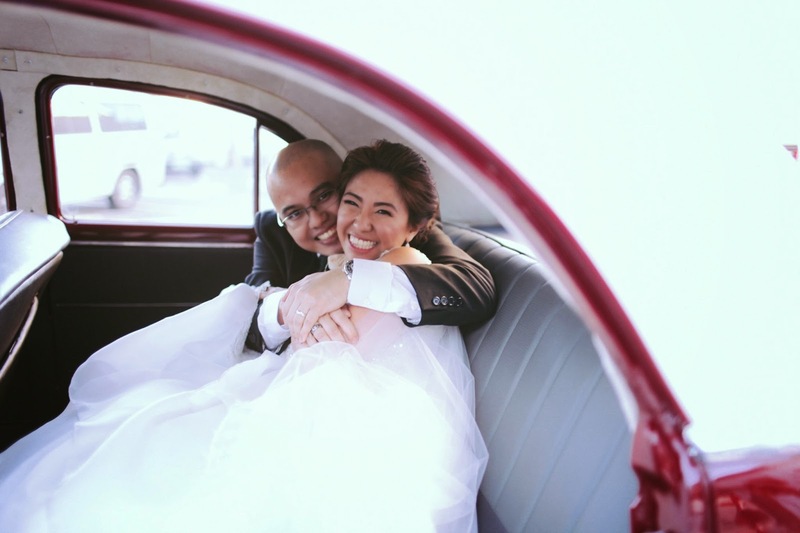 Here are five of the funnest details from April & JC's wedding! 1. Purses for Flower Girls instead of Baskets - Rebellious Bride April shares: "THINGS WE LOVE was actually the theme of our wedding. 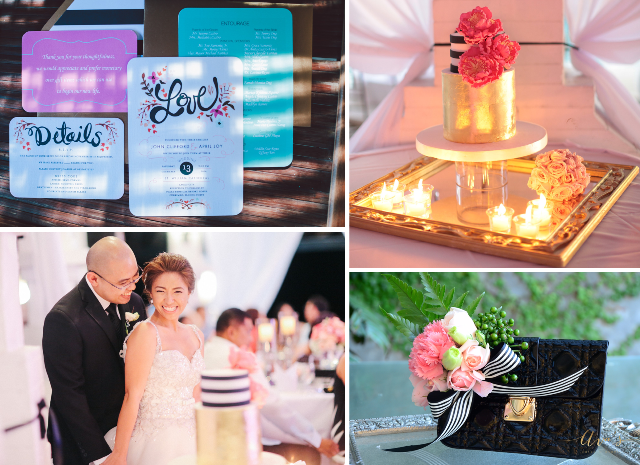 Since I love Kate Spade, with the help of Kit Mandac of Ava's Cakes and Events, she came up with beautiful purses for flower girls instead of the usual baskets. Something new and something so pretty for my cute flower girls. Aside from that I also got them fuchsia pink sparkly ballet shoes to match their dresses." "I really didn't want a huge cake. Let's be practical. So we had 2 layers of fondant cake with 23k edible gold with sugar peonies (my favorite). I fondly call it The Cute Wedding Cake!" 3. The Born on the Fourth of July / Tom Cruise Bridal Car - What can be more rebellious than having a family heirloom/Hollywood prop as your bridal car?!? 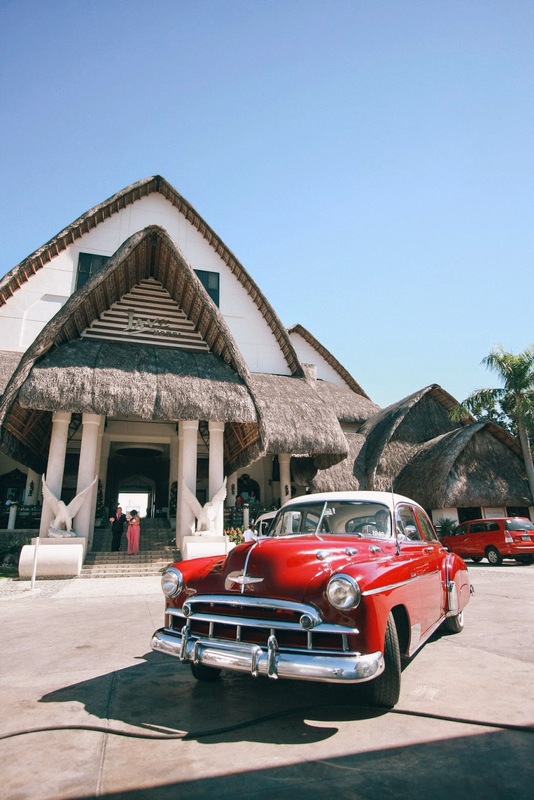 The car was owned by the groom's grandfather and was used during the filming of Tom Cruise's movie Born on the Fourth of July when they shot in Laoag. How cool is that! RB April Shares: "The 1949 Chevy Fleetline Deluxe was restored by JC and his brother for almost 2 years. JC waited for it to finish until we can finally start to plan for our wedding. Here's a clip from the actual movie! 4. 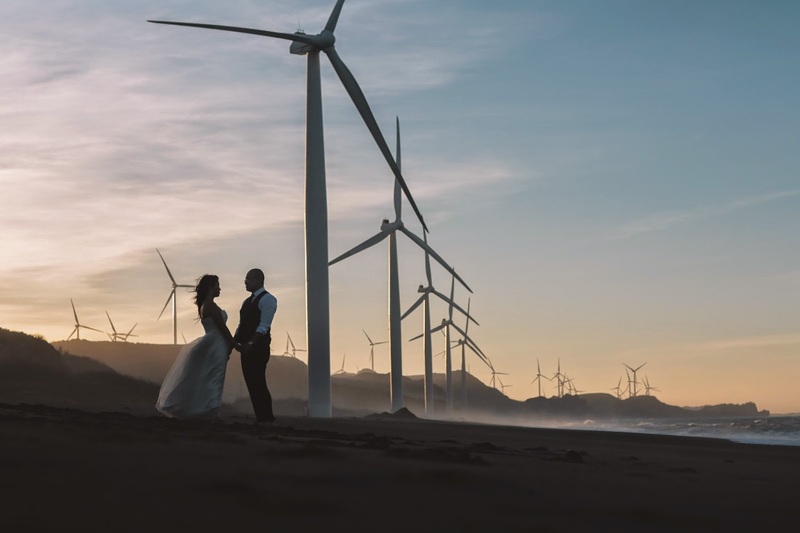 The Ilocos Postnup: Immediately after the wedding, the couple celebrated all the most beautiful sights in Ilocos Norte for the postnup pictorials. They are absolutely gorgeous! 5. Choosing an "unlucky" number - And finally, RB April has this to share about their infamous wedding date: "When we announced to our family and friends our upcoming wedding, we got the same reactions from them which is, "Why 13???" Being born and raised as a Filipino-Chinese, most of them were expecting our wedding date to be 8, 10, 18, 20 or maybe 30 (too common for us). We didn't consult anyone from our families--I mean who cares, it's our wedding anyway and it's the last consecutive date any of us will see in our lifetime so we figured, why not spend it with someone you wanted to be with for the rest of your life." 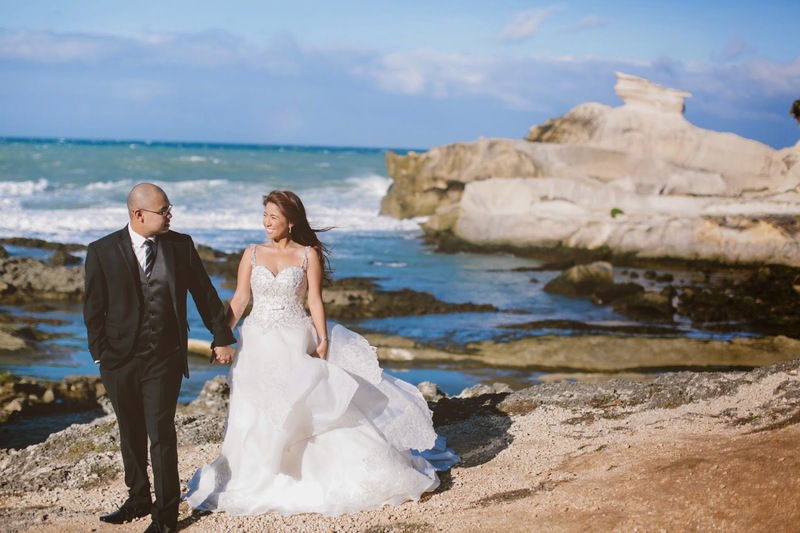 Congratulations April & JP! 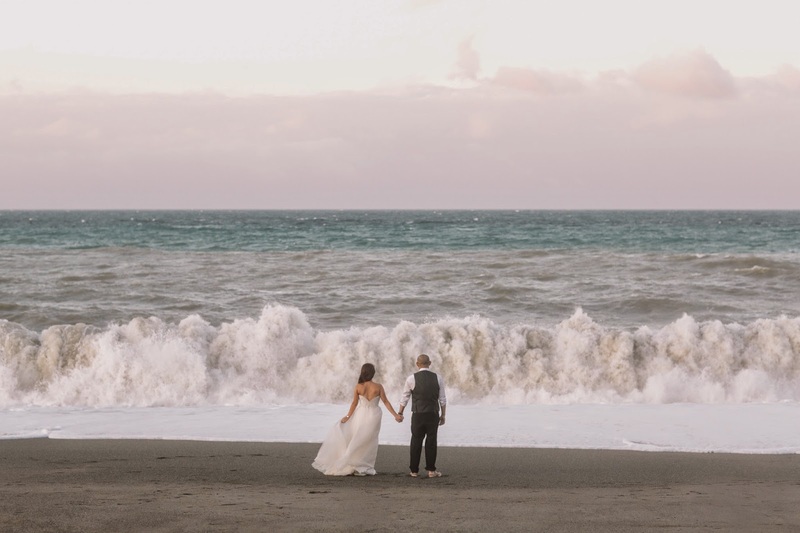 And may your marriage be this adventurous and fun as your wedding!